Valentine's day is fast approaching, and if you are in love with RED then February is definitely your month to add a little splash of colour to your cards, envelopes, gift boxes with our valentine theme. Here are a few of our fabulous favourites, all using our recycled products from Razzle Dazzle Rose and Jane Means Ribbon. 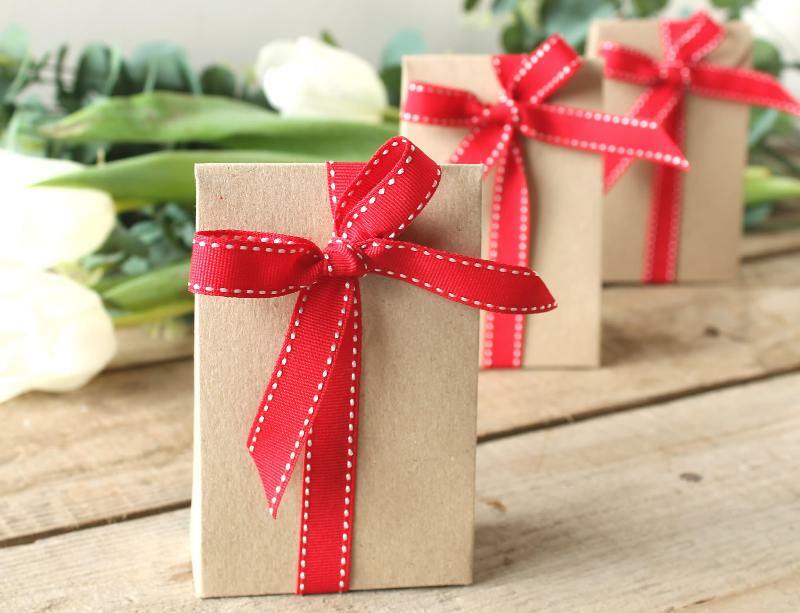 We've taken our standard matchbox with red sleeves, tied some gorgeous dotty ribbon from Jane Means, then lined the box with some red tissue paper and added some chocolate hearts. 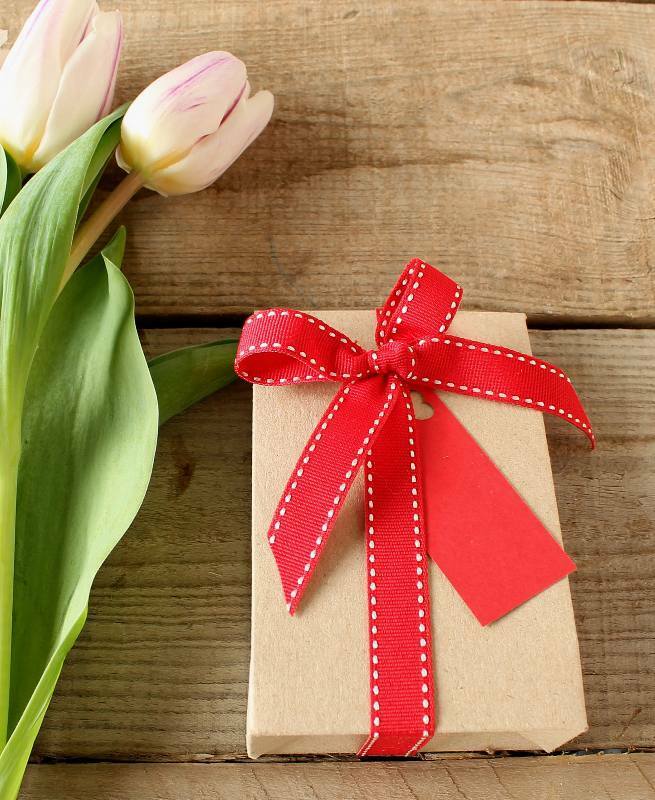 Our recycled pouches can be filled with flower petals, chocolates, perfume, or jewellery, the choice is yours. 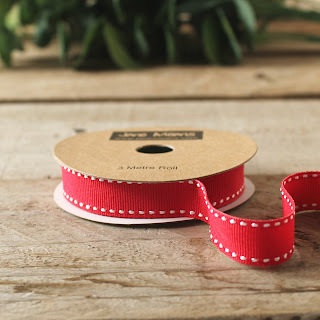 Finished here with Red stitched ribbon. 3) Rectangular vintage cream box. Here we added our mini red luggage tags to our standard rectangular boxes, and got a little bit creative with our calligraphy handwriting! Available in kit form on our website. Add our hearts to boxes, decorate tables with them, hang from the fireplace with some red and white twine, or sprinkle them on your bedlinen to create a little romance. 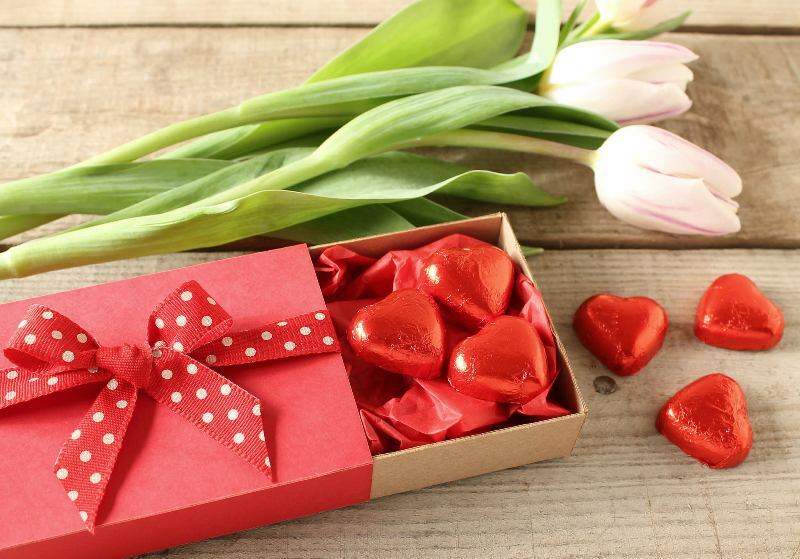 These are our favourites! 5. Simple - but beautiful. 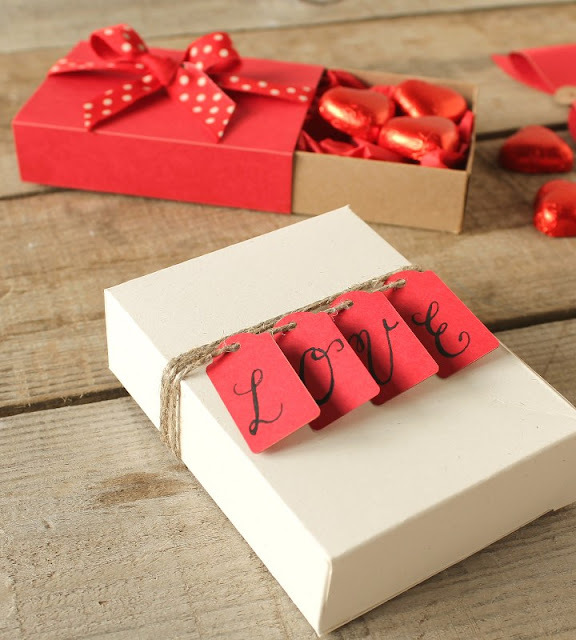 Add a little brown paper wrapping to a box of chocolates, or perfume, add some stitched ribbon and a little red heart tag. 6. Red card feathers. 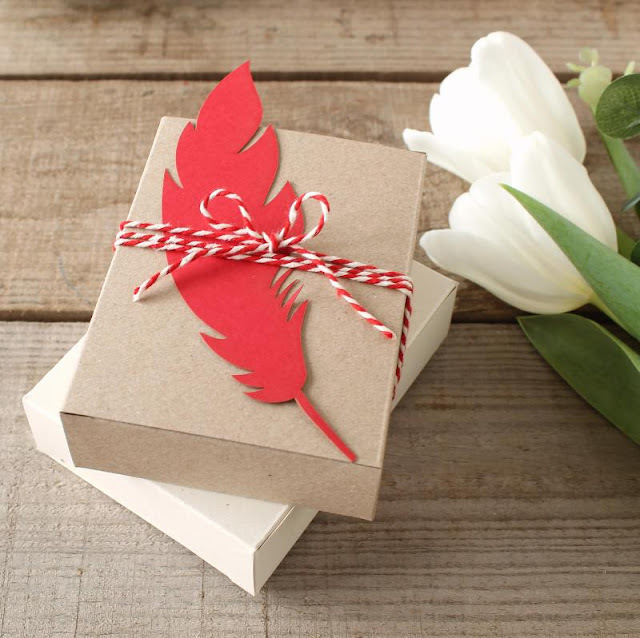 A simple red feather, wrapped with our red and white bakers twine, and added to our rectangular card boxes. 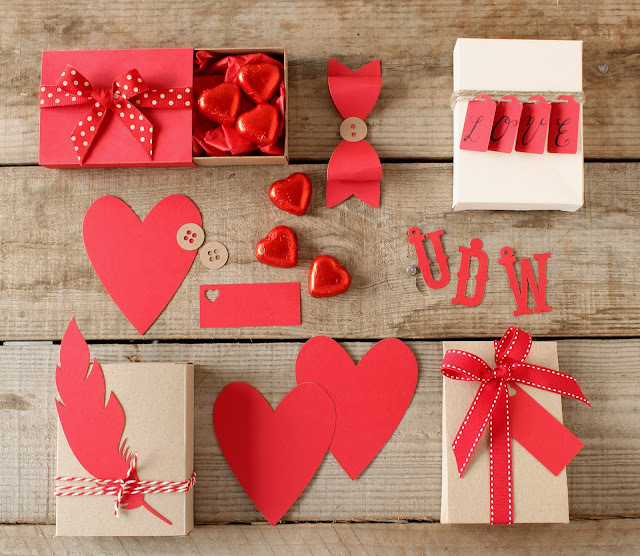 Rectangular boxes, pouches, matchboxes, card feathers, red white twine, large red hearts, mini tags. 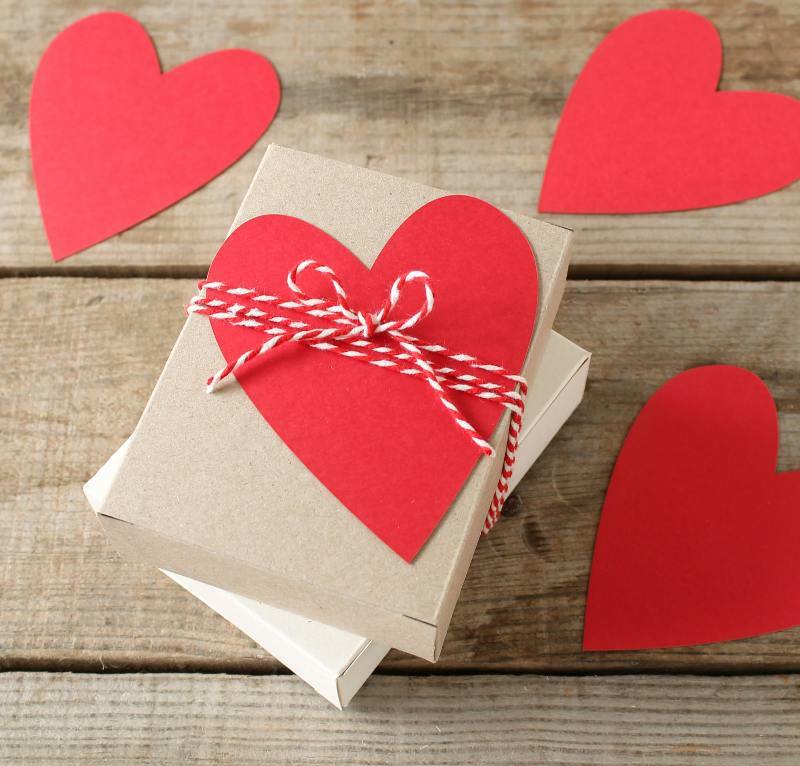 Happy crafting everyone, remember to spread some love this valentines day!